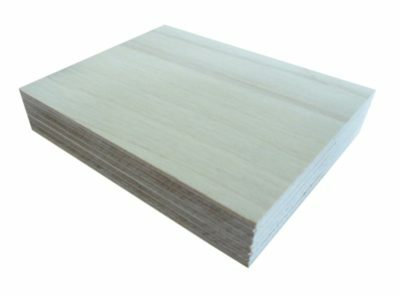 Treated Birch Plywood meeting the requirements of Euro Class B. Suitable for structural applications. Individual birch veneers are soaked in PW-640 (a fire retardant liquid solution) prior to gluing and pressing. This means that augmented fire retardant performance can be achieved as part of the product’s production process and applies to the entirety of the finished panel. This method of treatment is more permanent in service than surface coatings and fire retardant properties can be maintained after cutting/ machining. Fire Retardant Birch Plywood is available ex stock, carrying a full CE Mark for structural use in humid applications (EN 636-2) with an exterior, phenol formaldehyde, glue bond (EN 314-2 Class 3). BS EN 13501-1 – Single Burning Item Test. Hanson Birch Quick Reference Guide (Typical values collated from Russian, Polish and Finnish production standards). Please note that all of the grades below are sanded with the exception of C grade. *For further detailed information such as structural detail and help with specifications, please contact our technical team.